The Office for Inclusion and Equity (OIE) is located in Student Services Building (SSB on campus map), third floor, suite 3.212. The SSB building is located at 100 West Dean Keeton (on the corner of Dean Keeton and Wichita St.). Please contact us at our main number 512-471-1849 or email equity@utexas.edu. Ms. Booker has served as the director, office of equity, diversity and inclusion for the University of North Texas System the past two years, also serving as the Title IX officer. At the UNT System, she managed the development, coordination and implementation of institutional equity plans, policies and procedures, and developed and implemented effective training programs for employees and external stakeholders. She earned her B.A. from the University of South Carolina and her law degree from Florida A&M University College of Law. Galen Eagle Bull, J.D., serves as the Associate Director of OIE. He brings over a decade of legal and investigative experience to assist the OIE in enforcing equal opportunity laws and policies at the University of Texas. Previously, Mr. Eagle Bull was a Senior Investigator at the Office of the City Auditor in Austin where he investigated fraud, waste, and abuse. Prior to that, he was a Civil Rights Investigator at the Texas Workforce Commission, Civil Rights Division, where he investigated Title VII allegations, negotiated conciliation agreements between complainants and respondents, and successfully presented two substantiated violations before the Texas Commission on Human Rights. Before coming to Austin, Mr. Eagle Bull practiced law in the private sector in Minneapolis, Minnesota. He has a Juris Doctorate from Mitchell Hamline Law School in the Twin Cities and a B.A. in Criminology from the University of Minnesota. William D. Nutt serves as the Institutional Equity Investigator for the Office for Inclusion and Equity (OIE). His responsibilities include assessing and investigating complaints of discrimination, harassment, retaliation, and related matters under applicable university policies and Federal statutes. Prior to joining OIE, he served more than three years as an EO Investigator for the United States Equal Employment Opportunity Commission, and has received extensive training on investigative technique and Civil Rights law. Mr. Nutt holds a Master of Arts in Anthropology and a Master of Business Administration from the University of Texas at Arlington. Donna Davis Reddix, JD, serves as the Associate Director of the Office for Inclusion and Equity (OIE). She is a certified civil rights investigator, and holds additional designations in the areas of equity, diversity, and inclusion. Ms. Reddix brings over twenty years of investigative, legal, and higher education experience to OIE, and is responsible for investigating and reviewing complaints of discrimination, harassment, sexual harassment, sexual violence, retaliation, and other complaints falling under applicable university policies, Title VI, Title VII and Title IX. Prior to joining OIE, Ms. Reddix served as the Faculty Diversity Officer, in the Office for Diversity, Inclusion, and Equal Opportunity (OIDEO), at Case Western Reserve University. 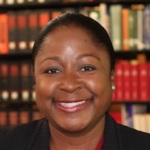 Ms. Reddix previously held positions as adjunct faculty, assistant dean, director, and legislative counsel, and she has participated as a board member with a variety of professional organizations. She holds a Juris Doctor degree from Southern University Law Center, and a Bachelor of Arts in Business Management from Dillard University. Ms. Reddix is also currently completing a Master of Science degree in Positive Organization Development & Change, from the Weatherhead School of Management, at Case Western Reserve University. 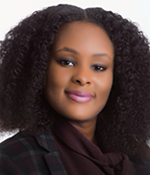 Robynn K. Strong serves at the Executive Assistant in the Office for Inclusion and Equity (OIE), where she provides executive-level support to staff members, coordinating and organizing day-to-day administrative processes and office workflow. She manages OIE’s triage program and database systems. Ms. Strong also manages, examines, and reviews data intake forms, complaints, accommodations, correspondence and other documentation via electronic management systems. Additionally, she provides summary reports to senior staff on the programmatic responsibilities within the office. Ms. Strong brings over 20 years of work experience in higher education, including over 8 years in the field of inclusion and diversity. She previously served as the Manager of Faculty Diversity and Development, in the Office for Inclusion, Diversity and Equal Opportunity (OIDEO), at Case Western Reserve University (CWRU). Her main areas of responsibility included; facilitating training sessions on policies, procedures and best practices for Faculty Recruitment and overseeing the Faculty Affirmative Action Plan. She was also one of the co-founders/facilitators of CWRU’s Train the Champion program where employees meet monthly to discuss a wide spectrum of diversity topics, from disability issues to cultural, racial and intergenerational differences. In 2012 and 2013 her leadership and efforts contributed to the program receiving Insight Into Diversity magazine’s Higher Education Excellence in Diversity Award. Ms. Strong received her Bachelors of Business Administration degree from Notre Dame College, South Euclid, Ohio.